It was 8 o’clock and Canalport Park was already filled with people. 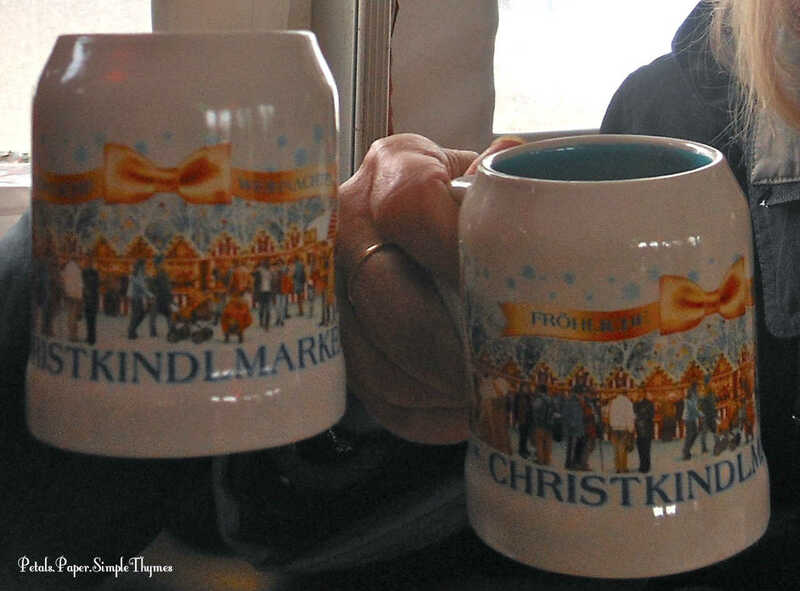 The friendliest people gather at the 3 French Hens French Country Market very early on the second Saturday of each month, from May through October. Everyone is seeking their favorite kind of inspiration! 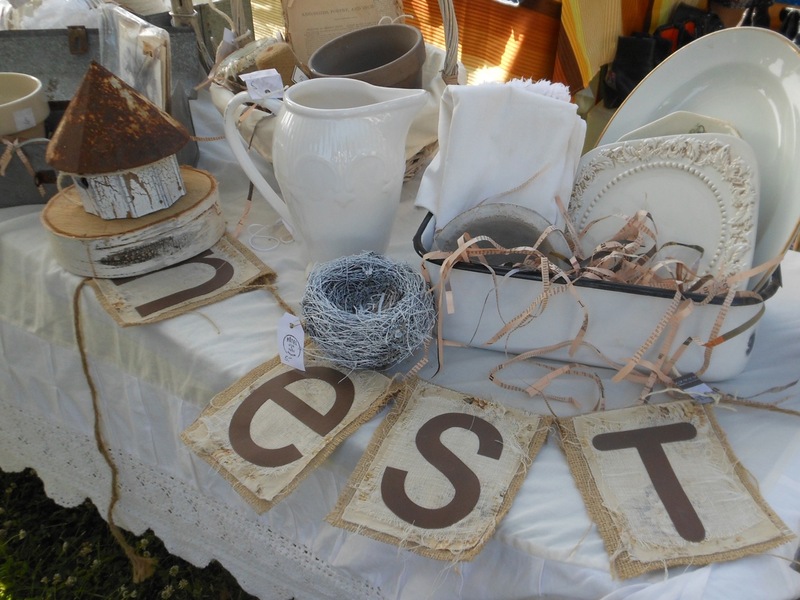 Young and old, couples, singles, and families with pups on leashes wander through the park in search of antiques, upcycled art, handmade jewelry, artisan soaps, fresh-baked pies and breads, flowers of all kinds, and so much more. Locally grown produce and a variety of tempting, hot foods and cold drinks often inspire a spur-of-the-moment picnic in the park, too. 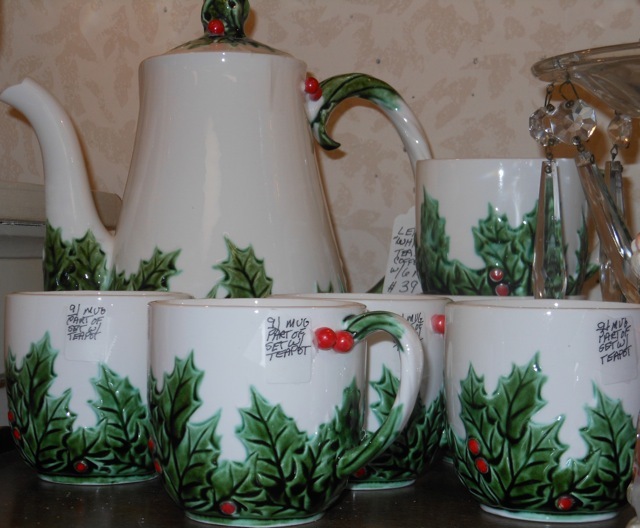 As always, my husband and I started off together looking at the tables and displays filled with antiques. Before long, we each ventured off in search of our own favorite types of inspiration. I am drawn to antique furniture, vintage dishes, antique teacups, and interesting stoneware crocks, enamelware pitchers, and Mason jars to hold bouquets of garden flowers. He is drawn to antique books, old tools, and historic memorabilia. in a quiet walk in nature. to observe the local fauna and watch all kinds of boats on the river. This was my Saturday morning ‘Artist’s Date’ seeking inspiration for our home and garden, as I nourished my creative heart and soul. I have been truly smitten with Farmhouse Style decorating lately. Fresh, white beadboard, walls covered with wood slats, natural wood finishes, and pops of color and natural textures have been calling my name. Old and rustic, yet simple and fresh! What better place to soak up that Farmhouse feeling than in a lovely park in the countryside! 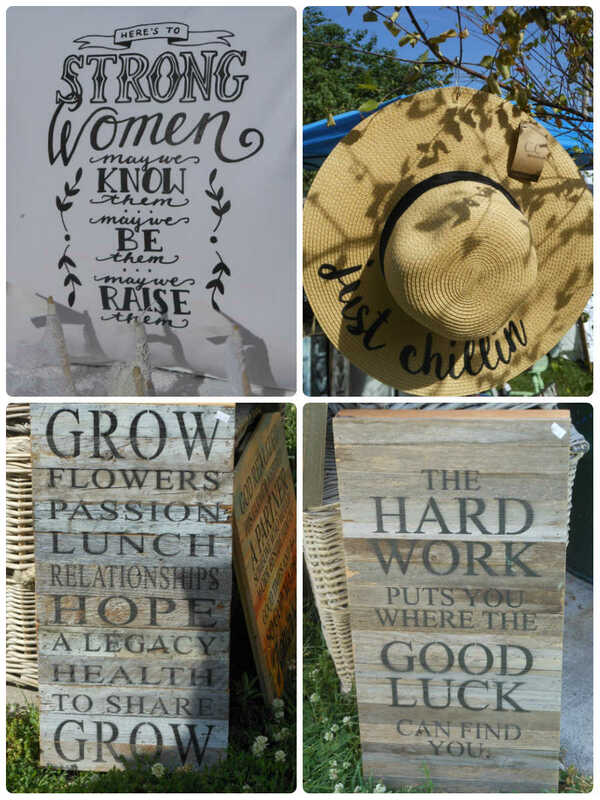 I have always been drawn to wooden signs ~ the words, the lettering styles, the rustic textures, and the soft colors. 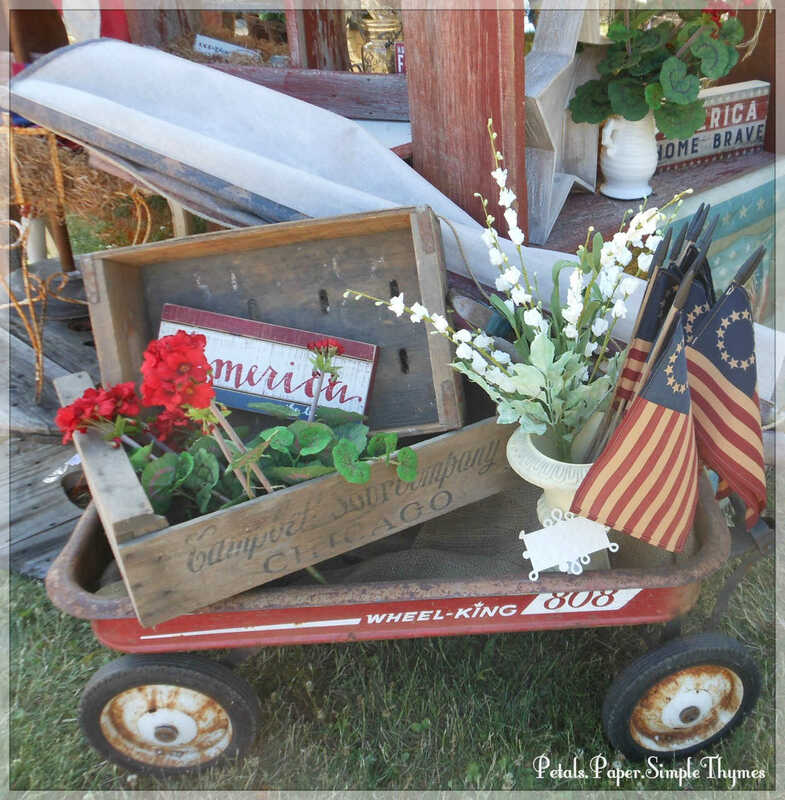 Walking through the 3 French Hens French Country Market felt like I was walking through my favorite Pinterest boards, with inspiration everywhere! Come on along… so I can show you a few things that caught my eye on Saturday morning! These muted colors and different textures made my heart sing! Bunting makes every day feel like a little celebration! 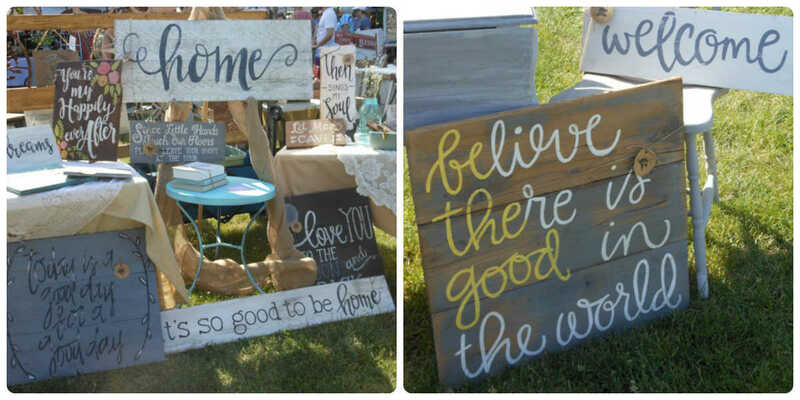 Hand lettered signs add just the right touch of warmth and coziness to any room. I love the brush lettered style (especially bouncy brush lettering!). surrounded me with inspiration… everywhere I looked! readers, gardeners, runners, cyclists, collectors, crafters,… ! Inspiration is everywhere, if we just take the time to look for it. 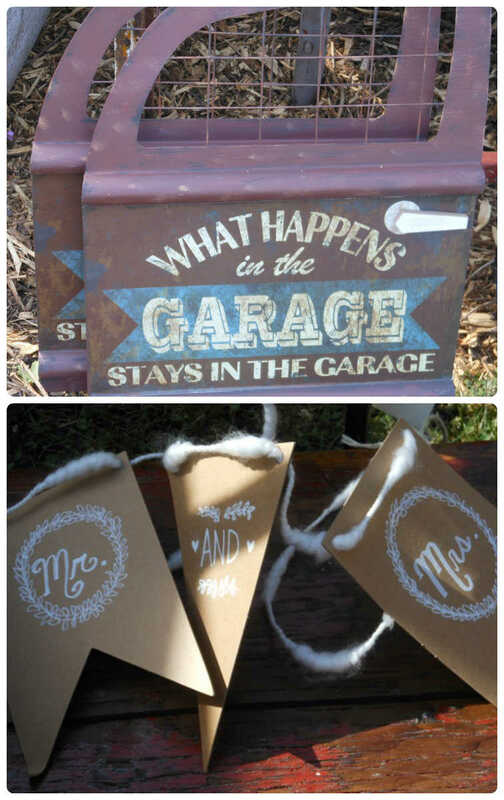 on rusty metal and rustic paper! 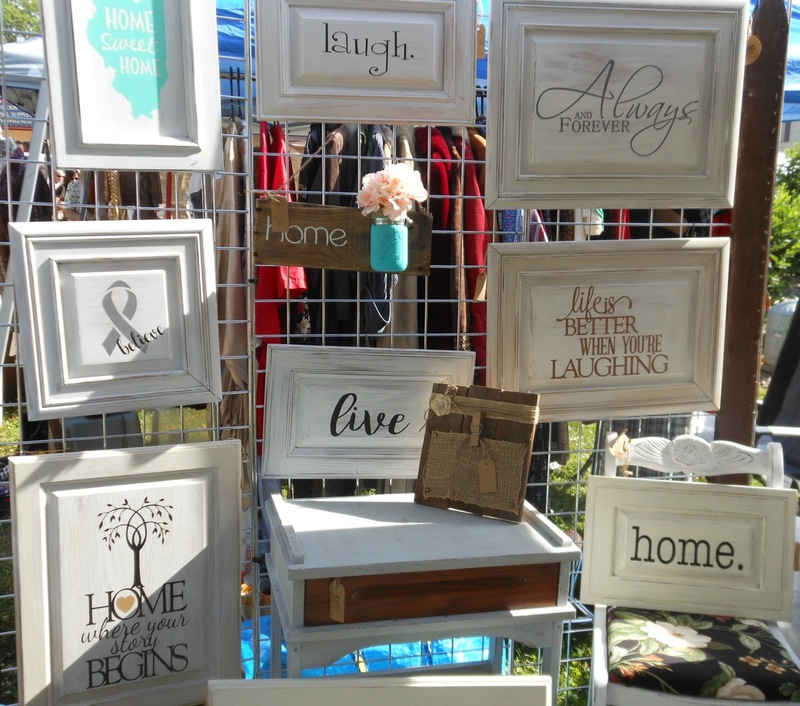 These signs were lettered on upcycled kitchen cabinet doors. What a great idea! One of them just had to come home to our cozy, little bungalow. After two inspiring hours, my husband came to find me in the park. to spend a lovely afternoon with our dear family. Where do you find inspiration on a Summer weekend? Oh, my! These young summer days are keeping me as busy as a bee outside! I celebrated the Summer Solstice by spending the whole day in the garden. Time in the garden has been a rare blessing for the past few weeks. So, it was a real treat to make time for a bit of pruning and weeding on the longest day of the year. What a glorious morning it was! 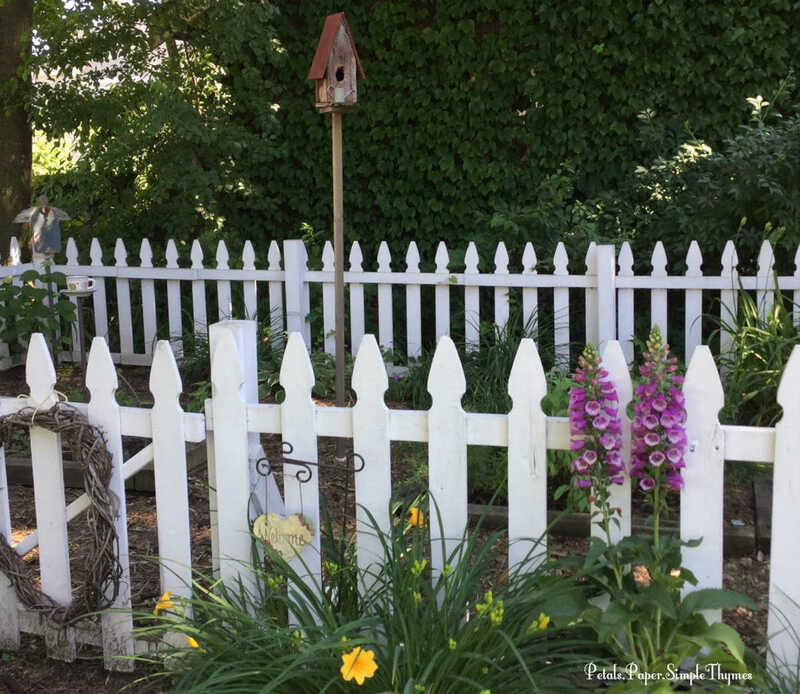 ‘Stella d’Oro’ Daylily (Hemerocallis) and ‘Dalmation Rose’ Foxglove (Digitalis purpurea) add a welcome splash of color to our white, picket fence Herb & Tea Garden in June. As I worked, surrounded by a sea of bright, orange Daylilies and fluffy, white ‘Annabelle’ Hydrangeas, the butterflies and bees were busy working right alongside me. The birdsong was especially cheerful on this special day, too! As I busily pruned the Quince bush that grows near our ‘Welcome’ arbor, I had to suddenly stop cutting the long branches. Robin’s nest with four eggs waiting to hatch. The mother robin must have seen me approach with my pruning sheers in hand and quickly flown away. 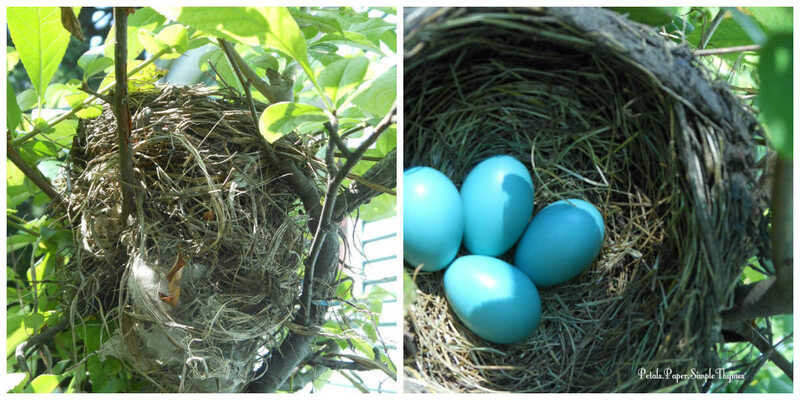 I was astonished to find the sturdy nest with four beautiful eggs! 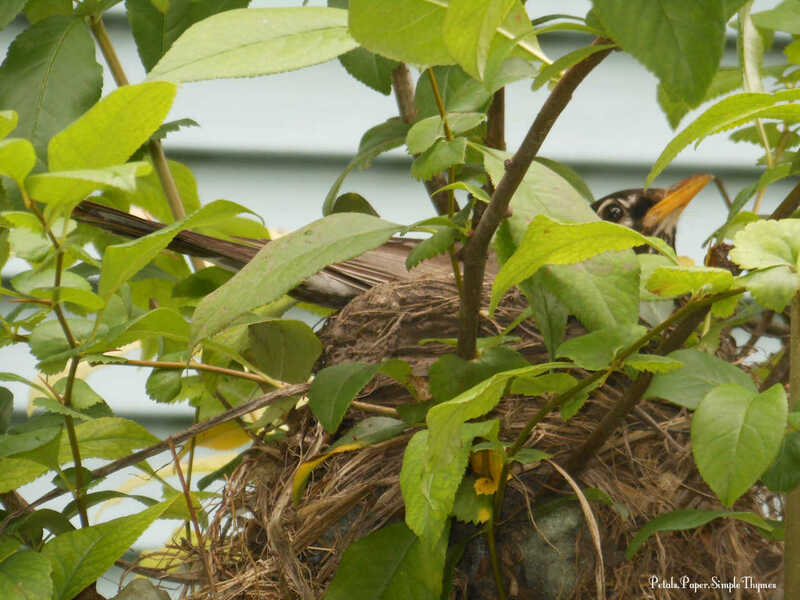 Of course, I had to stop pruning and left the nest undisturbed, hoping the mother would return. The Quince bush has a very funny shape right now, short in front, with long branches remaining in the back to protect the nest. With great relief, I noticed the mother robin return shortly to her little Home ‘Tweet’ Home! Just a few feet away, while I weeded along the Friendship Garden bed, I could hear very cheery, bubbling birdsong nearby. I quickly discovered that the music was echoing from a unique, wooden birdhouse that has been in my garden for years. I’ve always considered it decorative, with its barnwood box, metal roof, and interesting, antique metal embellishments. 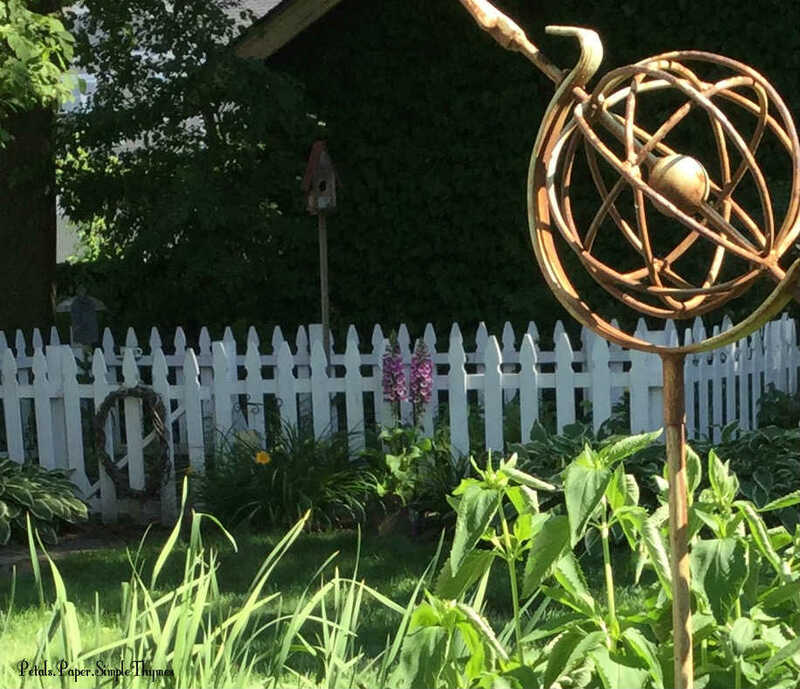 Mounted on a pitchfork, this birdhouse always stands waist-high in a Daylily bed, near our garage. in an old home surrounded by colorful, flower gardens. 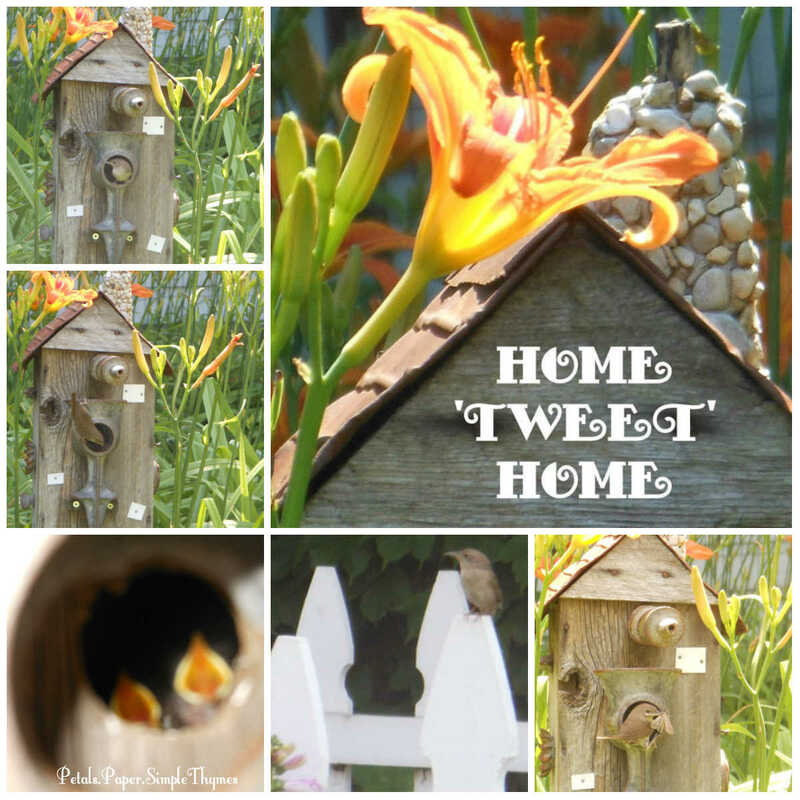 It is definitely a Home ‘Tweet’ Home kind of summer here this year! I have undertaken a HUGE project that will truly keep me as busy as a bee for quite a while. Working on home improvements makes me oh-so-happy! I have always loved restoring the beauty of an older home. In fact, that’s the reason that I moved into this cozy bungalow so many years ago. All those years of watching This Old House and reading Old House Journal have left their mark on my heart. As our home nears the century mark, it’s time for another project filled with hard work and tender, loving care. While my parents were visiting us in May, we shopped together for the best tools and supplies for my big project. 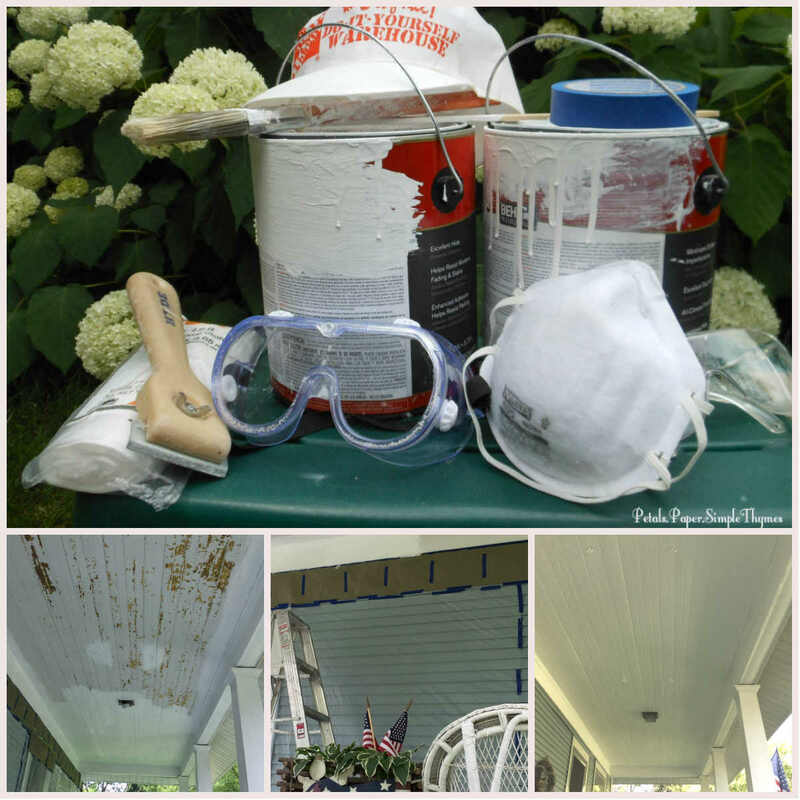 In early June, I began the front porch restoration. Scraping and painting the ceiling and trim took weeks. I am taking special care as I remove the old paint, so clean up each day has been long and meticulous. My husband and I wrapped the front of the house in plastic to protect it from dripping paint. (Thank goodness! There were lots of drips.) I’m so happy with the way the ceiling turned out! This week, I will scrape and paint the four porch columns. In the coming weeks, I will work to strip and restore the floor. Finally, we will have new railings and stairs designed and built. With each phase of the project, I am learning new things. It was so exciting to discover all of the colors that the ceiling had been painted over the years! As I work, I often think about the history of our front porch and why it is so important to me to carefully preserve it. I can’t wait to hang the original porch swing again, bring out the original rocking chair, and add our vintage wicker furniture to this very special outdoor room! Waving from the top of my ladder! I’ll be back just as soon as I can… with so much to share. Sending happy summer wishes from our little Home ‘Tweet’ Home to yours! 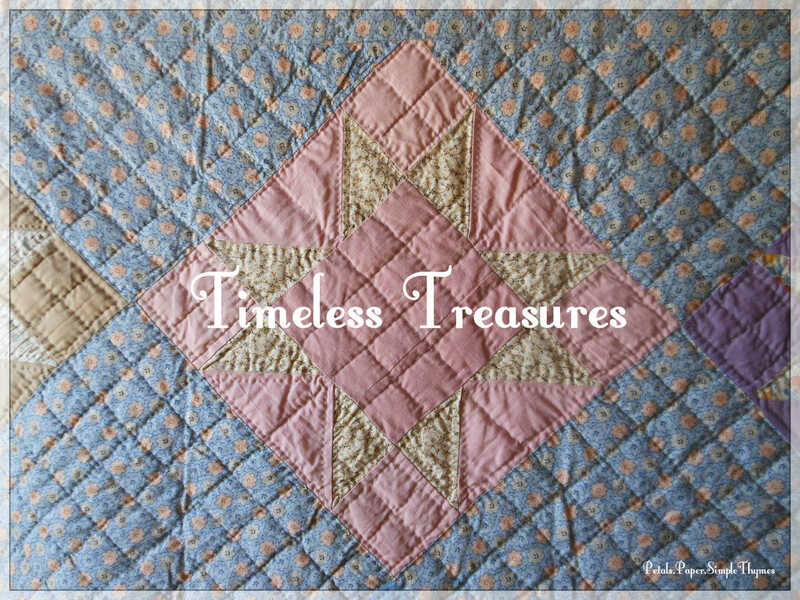 Two of my favorite timeless treasures have always been old houses and antique quilts. is always a wonderful treat for me! telling the story of this hardworking, Midwestern farm family. 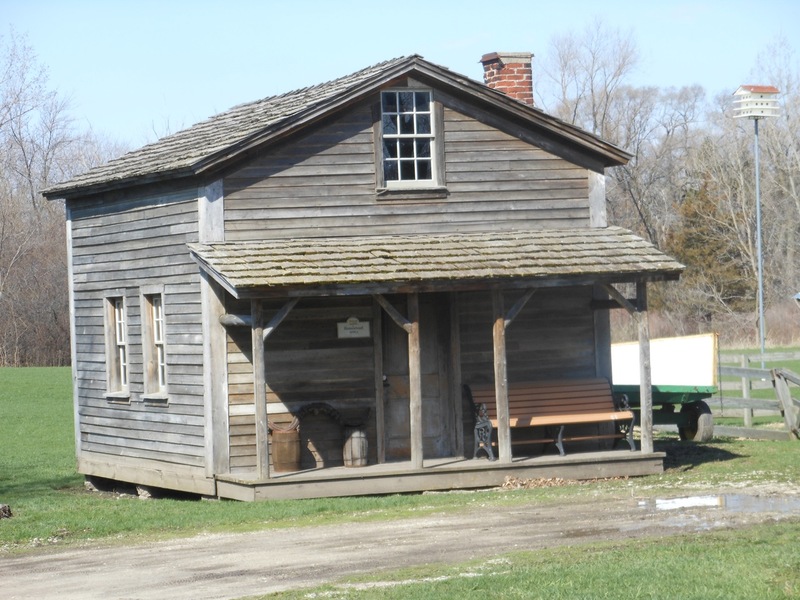 The original 1838 homestead was built when the Fischer family immigrated from Germany. 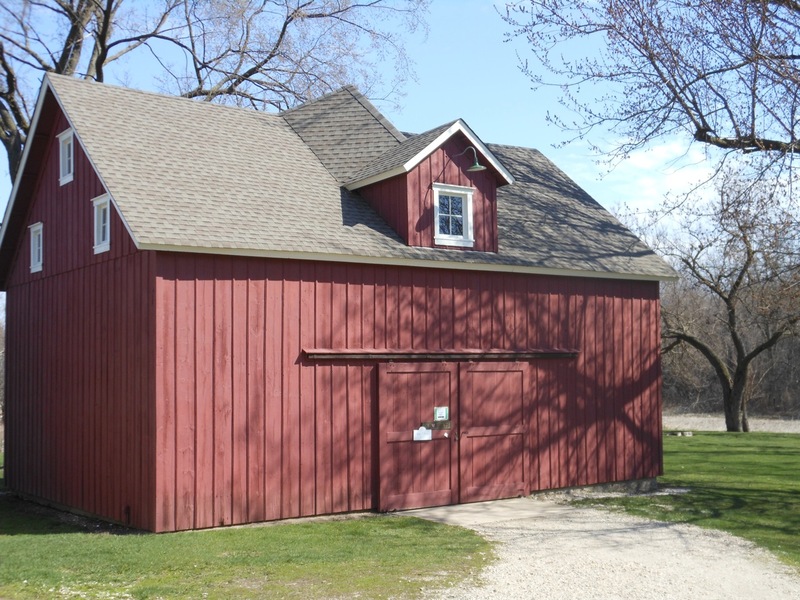 The Milk Barn and other preserved buildings offer a glimpse of farm life between 1838 and 1930. 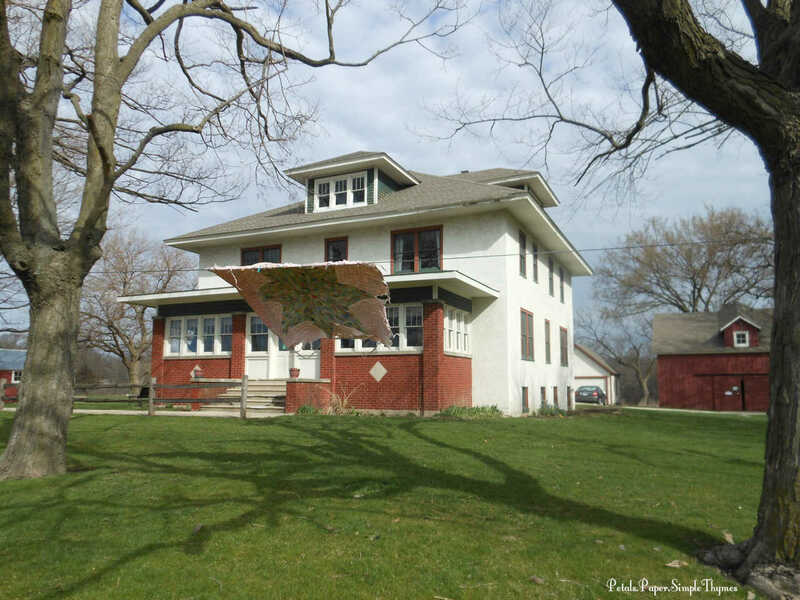 Fischer Farm invites quilters and quilt lovers to gather here. 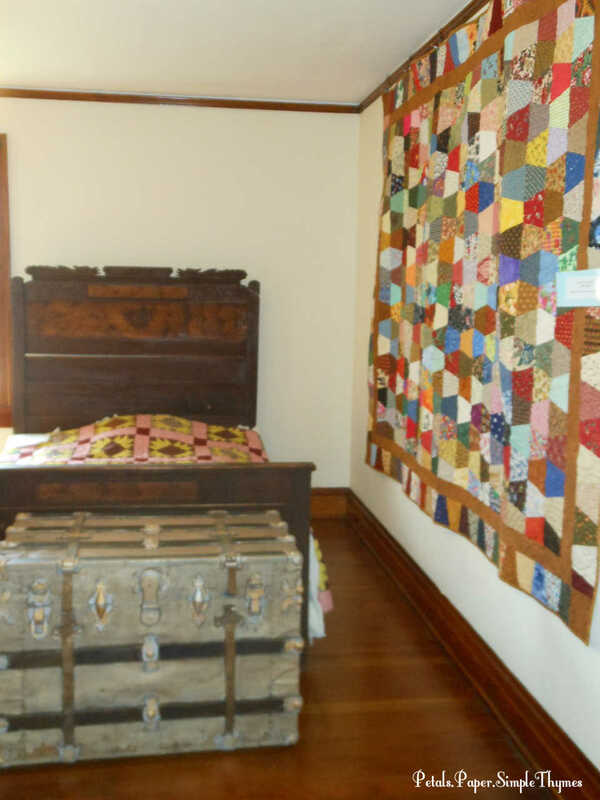 Over 100 quilts were carefully hung on all of the walls throughout the farmhouse. 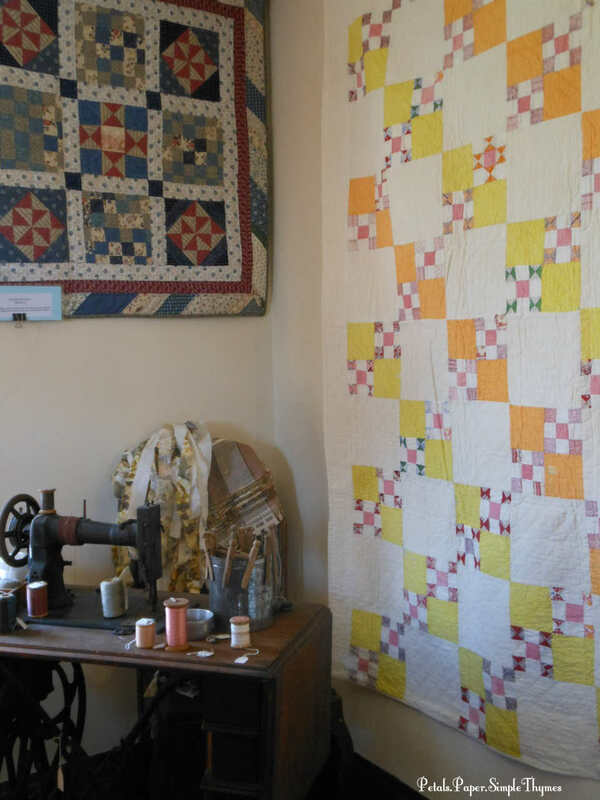 Some of the quilts are original to the Fischer family. Many more have been shared by private collectors and local quilters for display during this show. Several of the quilts were for sale during the show. (I would love to give credit to each of these quiltmakers. beautifully preserved woodwork, floors, and furniture. White-gloved volunteers shared a fascinating ‘bed turning’ presentation. they paused to tell the story of each quilt. 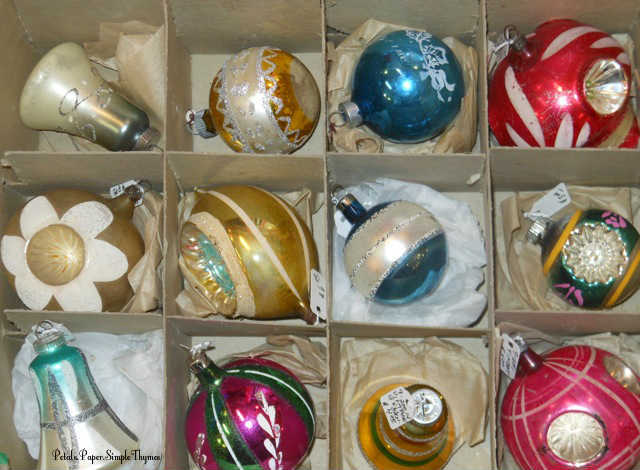 It was so interesting to see how the styles, patterns, and colors changed over the years. Most important of all, each quilt held a story! This Embroidered Baskets quilt belonged to Esther Fischer (1904-1999), who grew up in this bedroom. 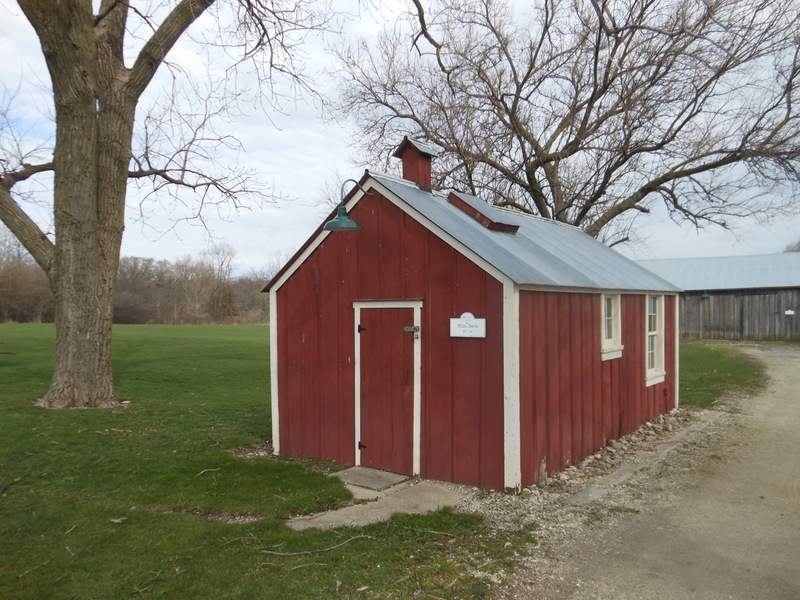 She became a teacher and taught at the nearby, one-room Fischer Schoolhouse. Esther lived in this farmhouse until she moved in 1986. There were tears in my eyes as I heard the story of her special quilt. 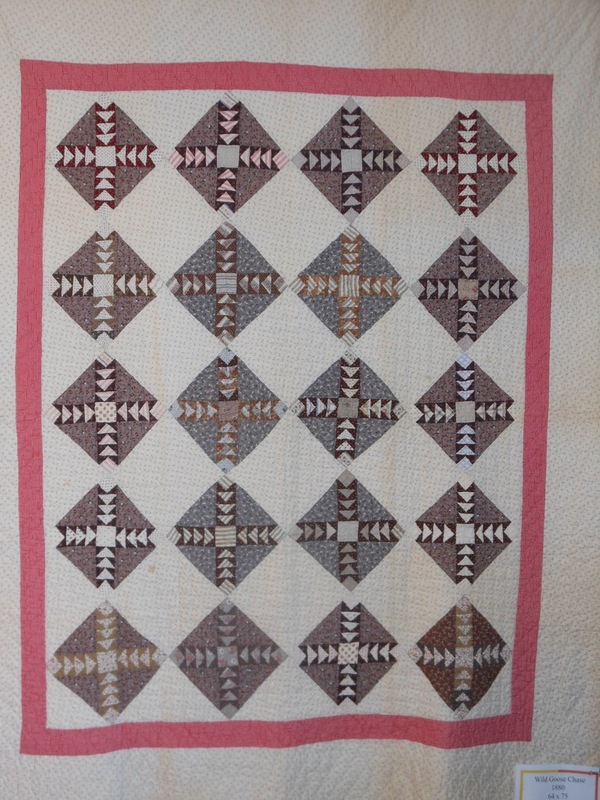 The soft fabrics, muted colors, and delicate stitches of antique quilts always warm my heart. 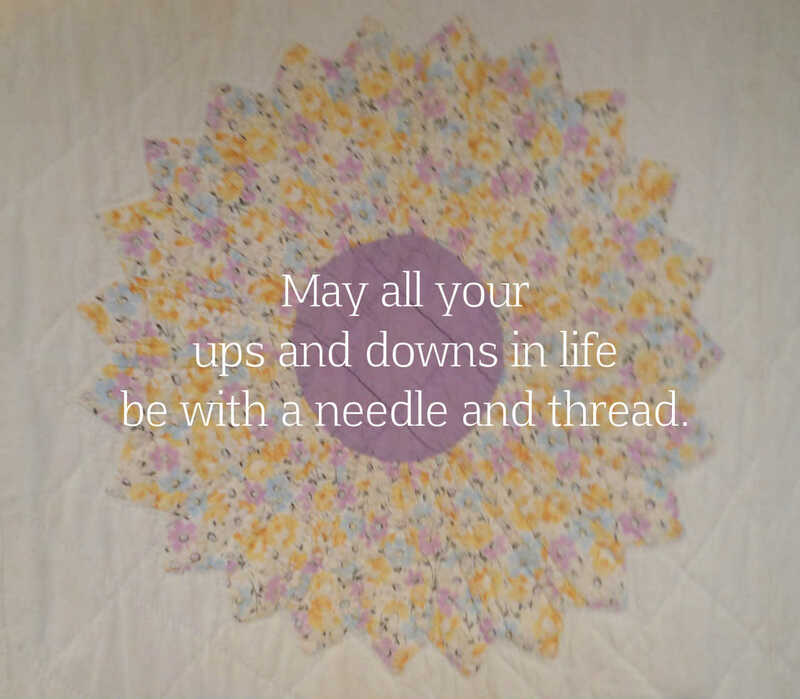 Oh, the family stories, hopes, and dreams that have been thoughtfully stitched into each quilt! Although I am not a quilter, I have always had a passion for quilts. 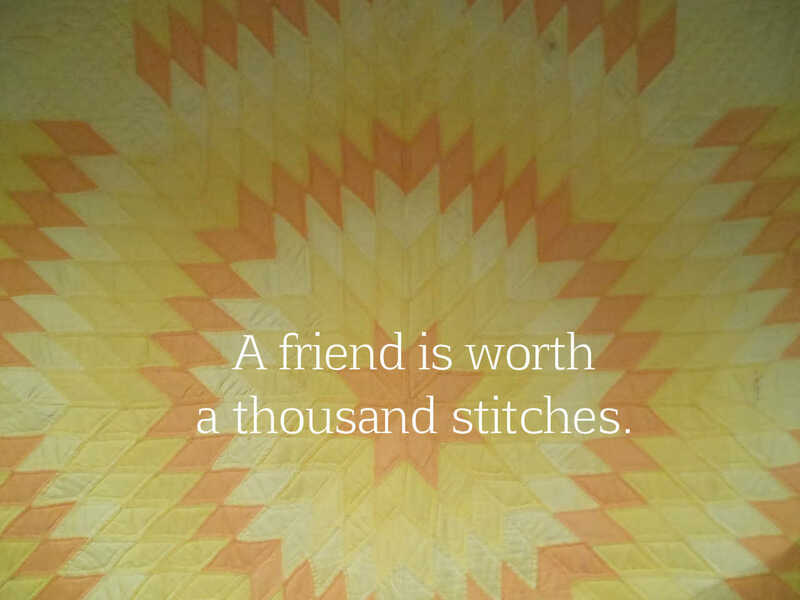 As I was growing up, I watched my mother lovingly create a beautiful quilt, block by block. 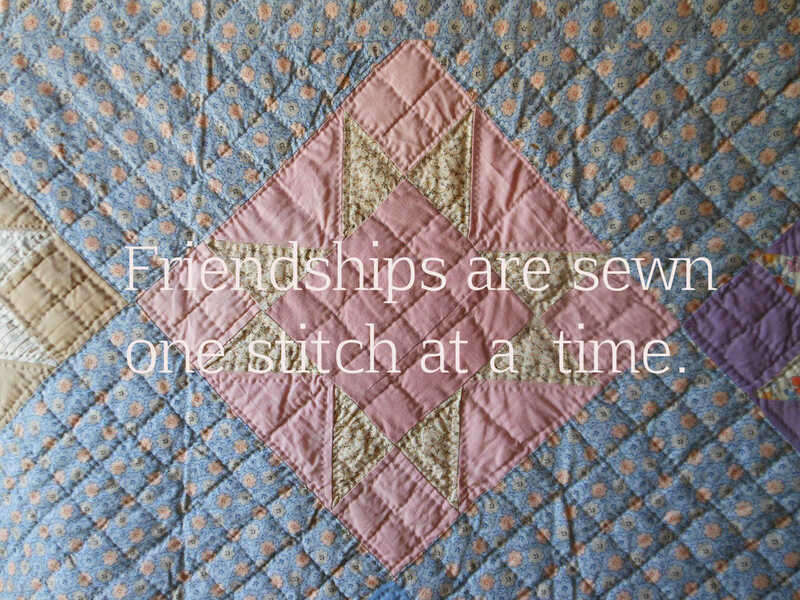 I will always remember all of the love that was handstitched into her beautiful sampler quilt. I have enjoyed visiting quilt auctions, quilt shows, and quilt shops for so many years. 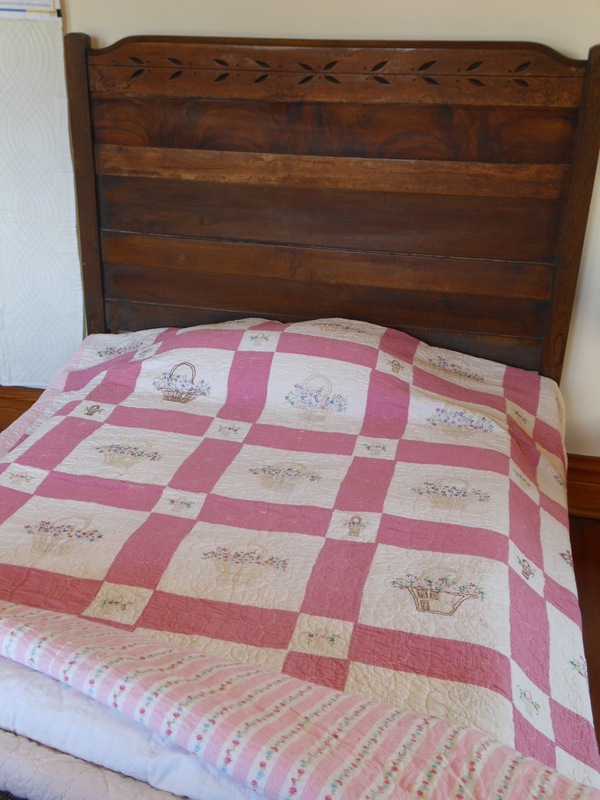 A small collection of Amish and vintage quilts adds such warmth to our home. 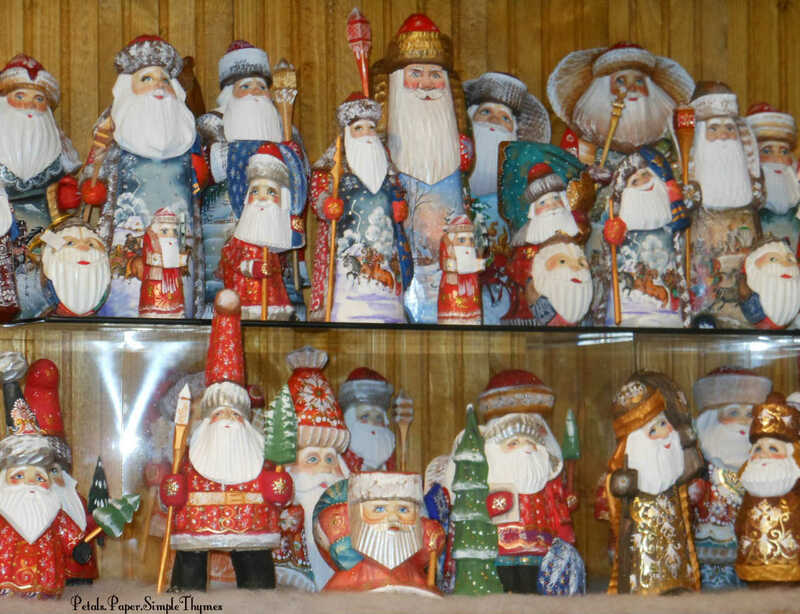 Each one holds a wonderful story of how it came to be part of our home. I often think of the countless hours the quiltmakers worked designing, cutting, piecing, and quilting each treasured work of art. “Grandmother’s Flower Garden” will always be my favorite traditional quilt pattern! I had the chance to talk with several of the talented quilters. 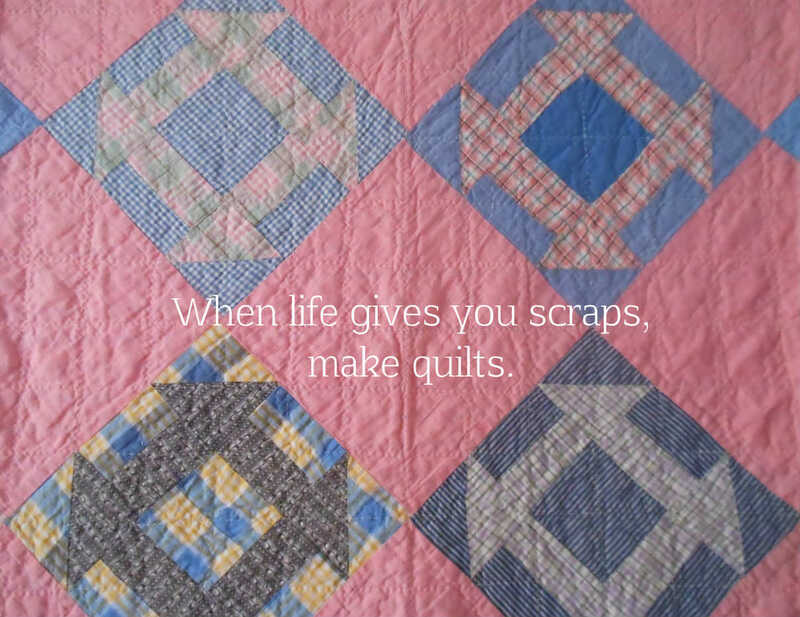 while sharing their passion for quilting and teaching me more about antique quilts. to come to their twice-weekly gathering of quilters. and the love that they stitch into their works of art! filled with antique quilts, vintage linens, fat quarters, and quilting books for sale. 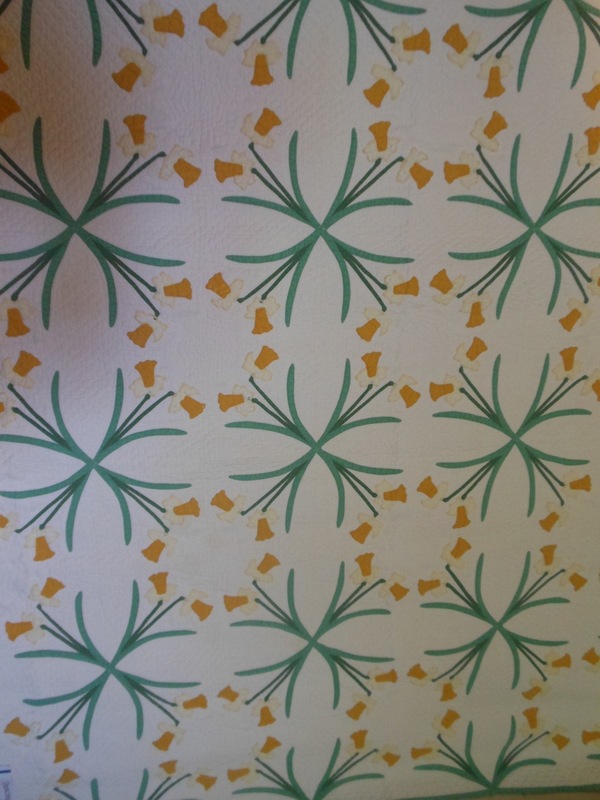 that fabrics designed by Susan Branch are now available online. 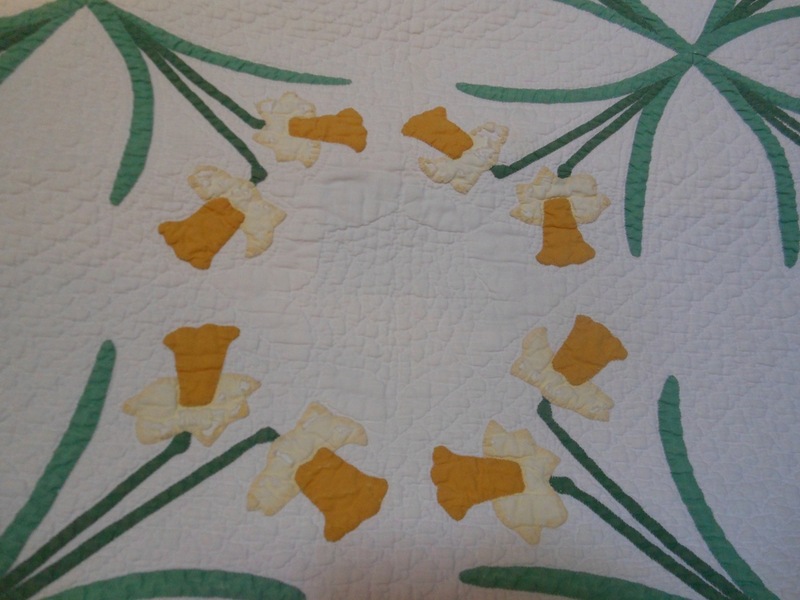 Quilters will absolutely love Susan’s charming, hand painted designs! my heart was filled with wonderful inspiration! where I love making little paper-pieced ‘quilts’ on my handmade cards. What an inspiring morning it was! 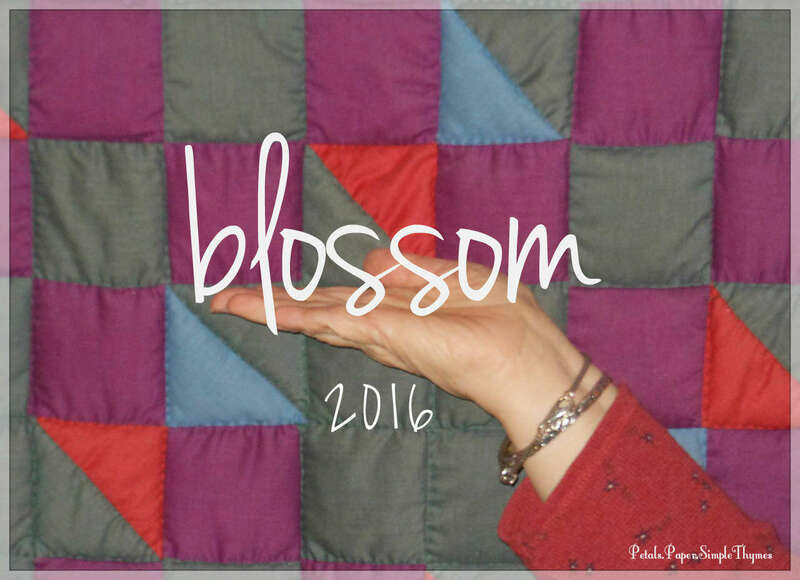 writing a blog is a tiny bit like making a quilt. Petals.Paper.SimpleThymes is two years old today!! that our little blog has stitched together. Thank you so much for stopping to visit today. P.S. 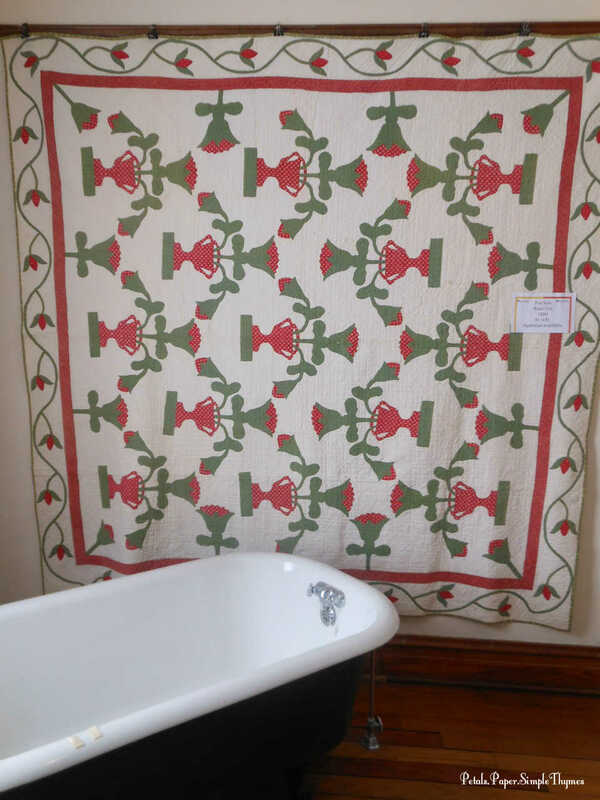 One of my very first blog posts was about the 2014 “All Around the House” Quilt Show at Fischer Farm. ♥ Do you have a favorite post or type of story that you really enjoy? ♥ I’d love to hear your thoughts! Treasured gifts don’t always come in packages tied with ribbons and bows. 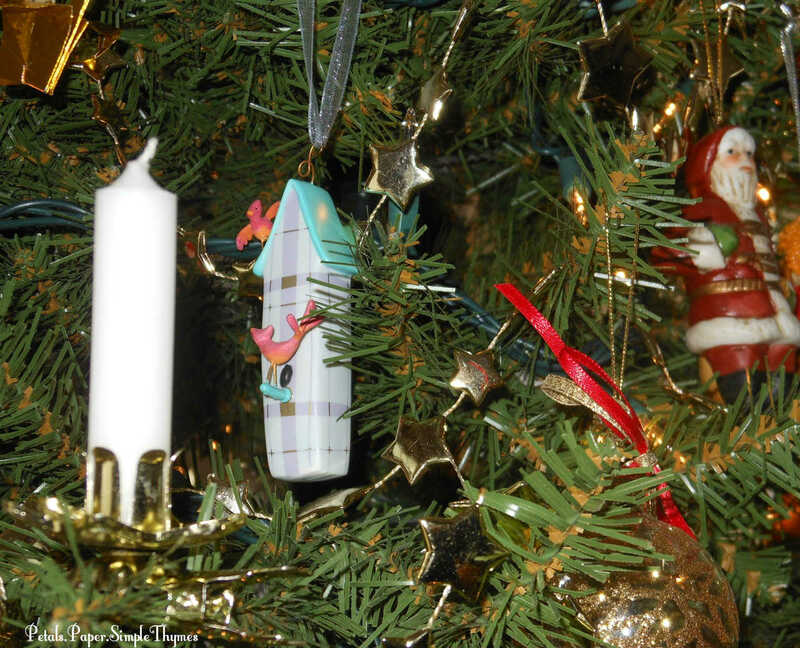 Many of my most treasured gifts come filled with memories and tied with heartstrings! 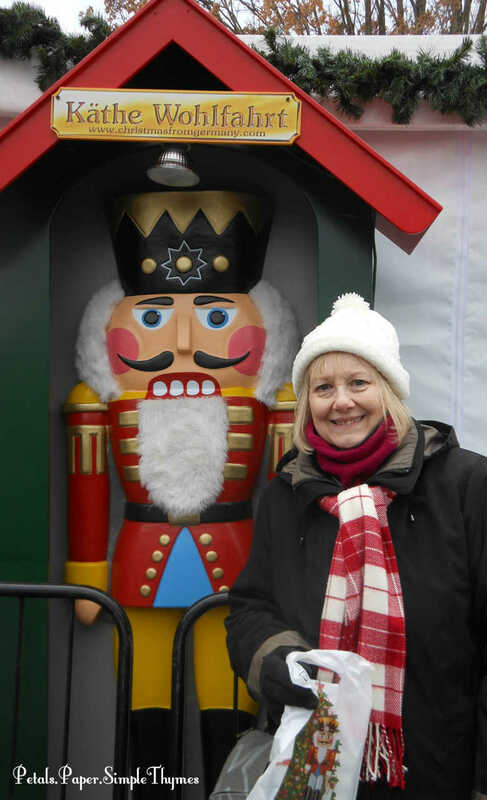 Each year, when it’s time to plan a birthday celebration, my wish is always the same… I just love to make special birthday memories by visiting an old-fashioned place filled with the magic of Christmas! 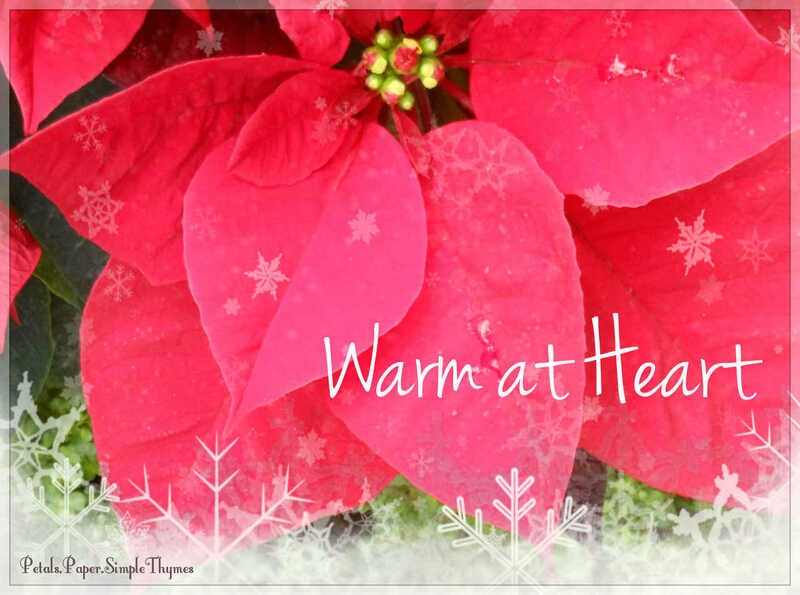 The twinkle of tiny, white lights, the scent of evergreen boughs, the sounds of Christmas music, and the jingle of bells always bring these cherished memories to life. Very often, softly falling snowflakes add to the magic. 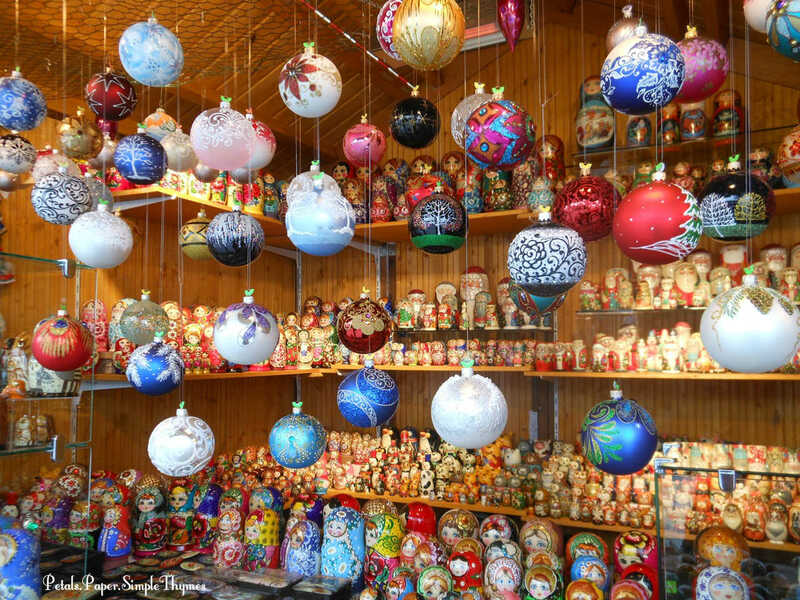 Most years, my memories come from charming, small towns nearby, but milestone birthdays hold some special Christmas-y memories made in wonderful, far off places. We just returned from one of our sweetest birthday celebrations, filled with the most wonderful memories! Historic Cedarburg, Wisconsin has always been one of my favorite Midwest destinations. 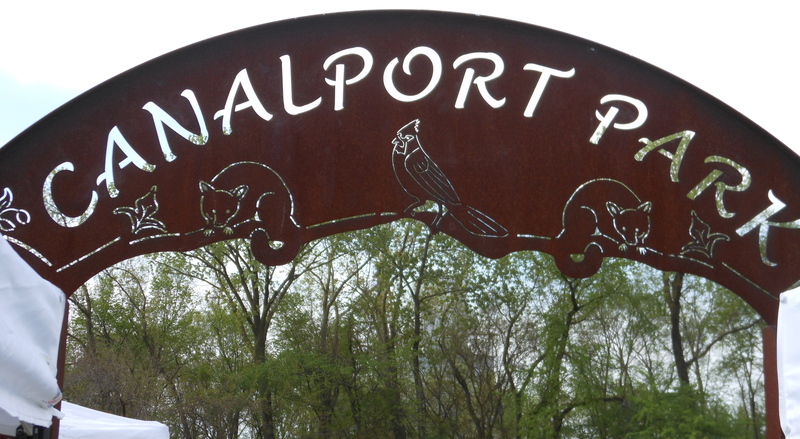 For decades, dear friends and I have been coming to visit this charming, small town in the heartland of America. What a special gift it was this year to travel there with my husband, and to experience this special place, for the first time, through his eyes! It was such fun to share this piece of my heart with him! Walking along Washington Avenue, I am always filled with admiration for the historic, wooden homes and stone buildings that hold so much history here in Cedarburg. 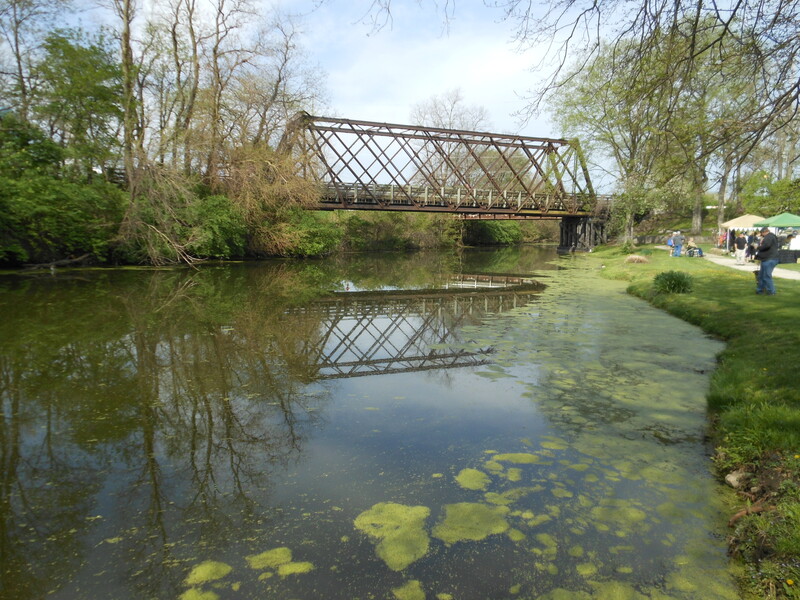 Settled by Irish and German immigrants in 1845, along the banks of Cedar Creek, this small town has a very proud history. Over the years, the village grew as five mills were built along the creek. The need for workers attracted people from Milwaukee, just 20 miles south, and far beyond. In 1864, the Hilgen & Wittenberg Woolen Mill played an important part in our nation’s history, by producing wool blankets for the Union soldiers during the Civil War. Today, Cedar Creek Settlement is a lively, bustling home to shops, restaurants, studios, and a celebrated winery set in the three-story, stone structure which originally housed the woolen mill and blacksmith shop. 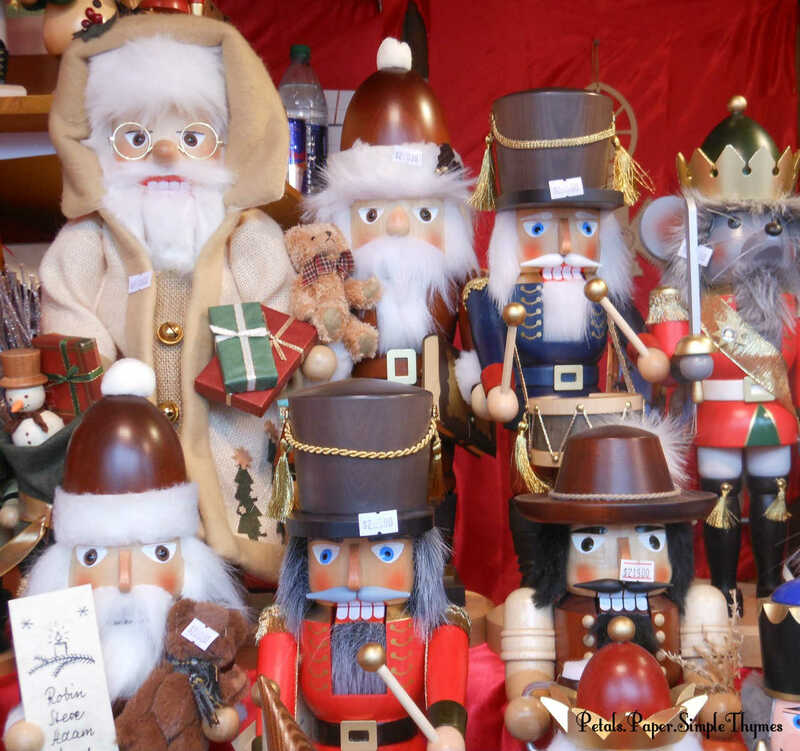 Today many of the historic buildings are home to quaint shops, art galleries, museums, churches, cafes, and inns that bring visitors from around the world to this quiet Wisconsin hamlet. One of my special joys has always been walking through these beautiful, old buildings. 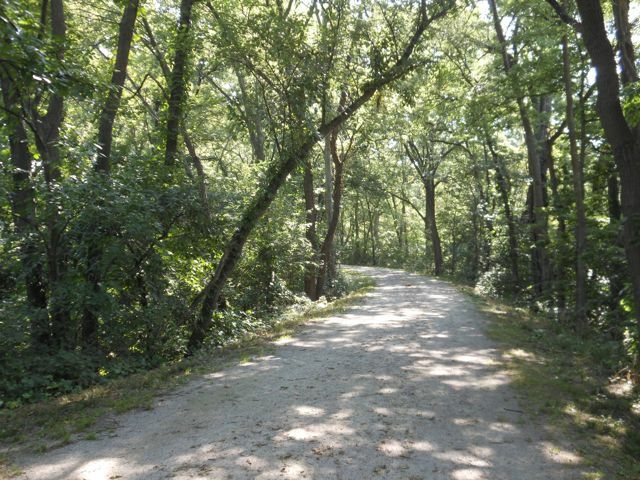 The people of Cedarburg are always so welcoming and friendly, engaging visitors in conversations, inquiring where visitors are from, and offering helpful suggestions about places to see. Each time I wander along Washington Avenue, architectural elements of the historic buildings catch my eye. I often pause to soak in all of the interesting details. 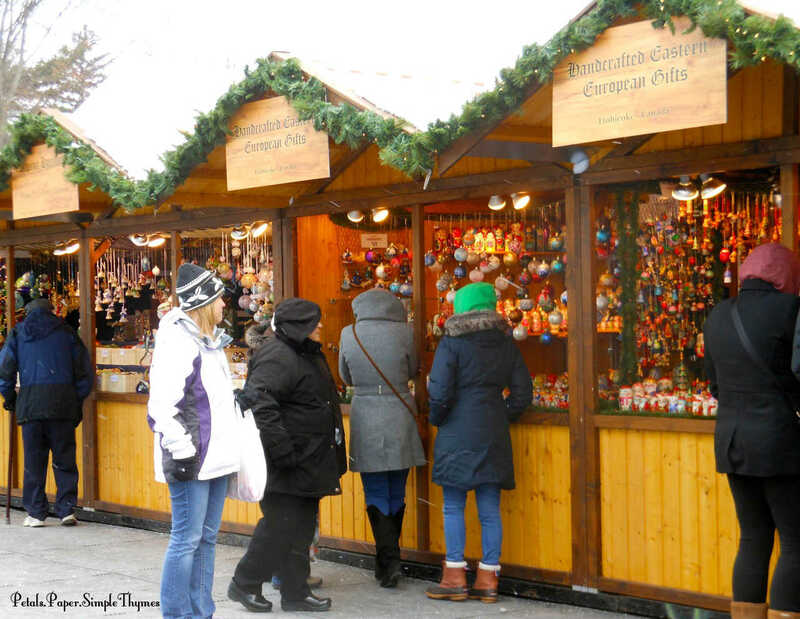 Throughout the year, many festivals bring crowds of visitors to Cedarburg, Wisconsin. 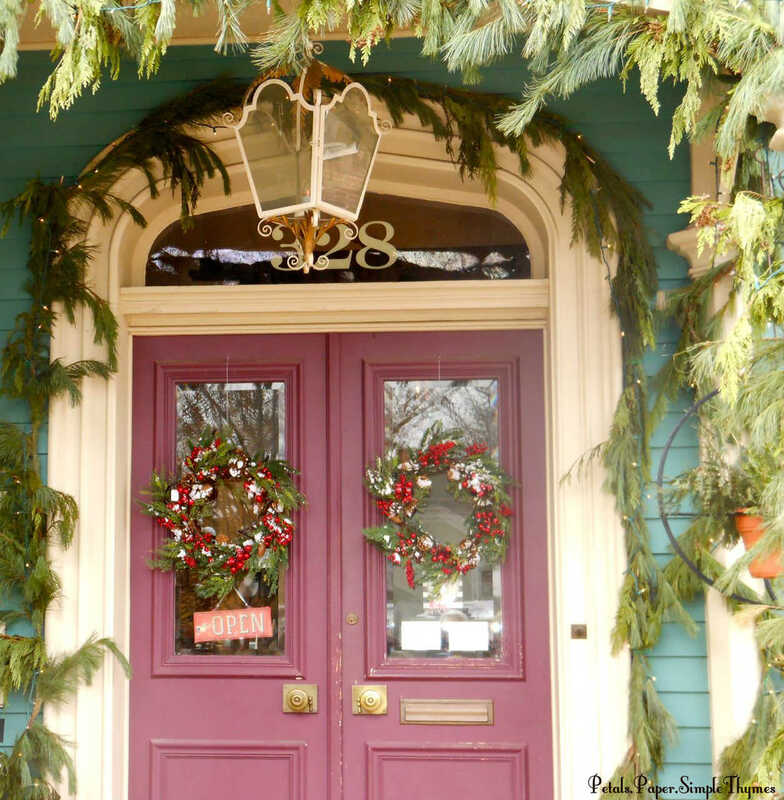 December is the perfect time to visit Cedarburg. All of the historic buildings are decked with tiny, white Christmas lights and evergreen garlands. 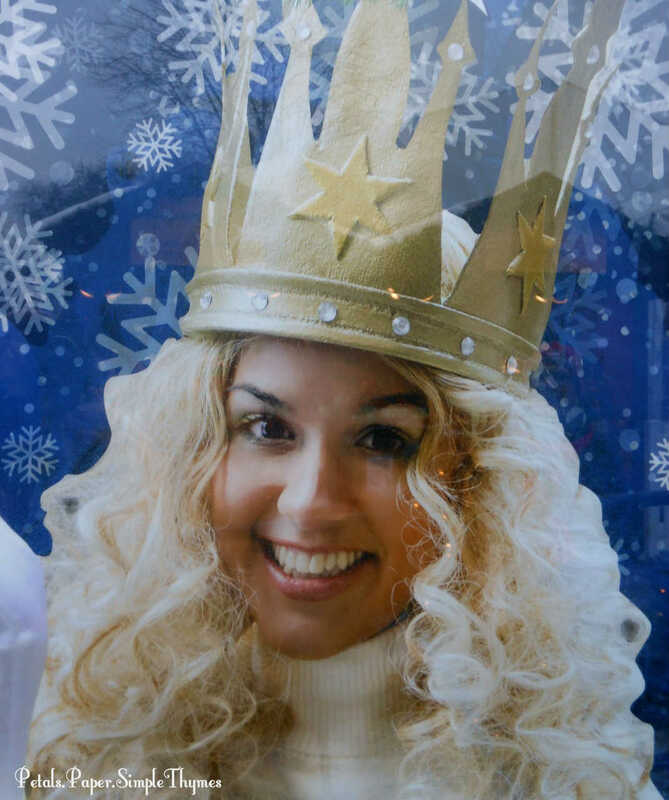 As darkness falls during the popular ‘Festive Fridays,’ carolers dressed in Victorian clothing sing as they walk along the sidewalks. Horse drawn carriages carry visitors through town, bundled under blankets to chase away the cold. Many of the beautiful, old churches offer a peaceful place to pause and reflect. 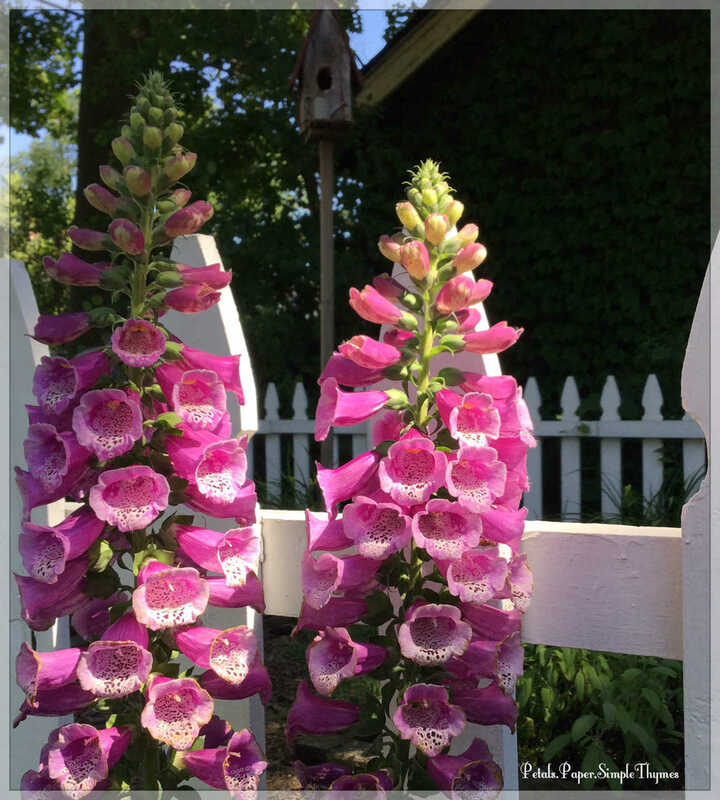 On this special visit, we enjoyed a stay in one of Cedarburg’s inns. 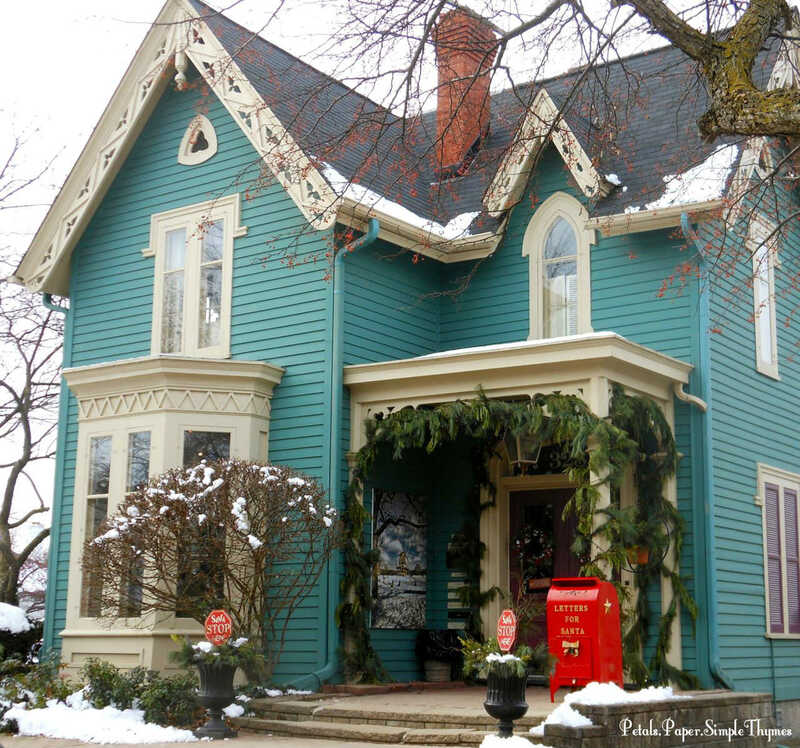 The romantic, historic Stagecoach Inn Bed & Breakfast was a delightful choice! Built in 1853, this hotel was a stop for stagecoaches en route from Milwaukee to Green Bay. It was a full day’s travel for the stagecoach to make the 20-mile journey from Milwaukee to Cedarburg. In the early days, the hotel was used by male guests who slept in the unfurnished guest rooms. They would rent a sleeping bag for one penny per night (or 3 cents per week) and sleep on the floor of the hotel. The narrow, wooden staircase could not accommodate the large travel trunks. So, the trunks were hoisted up through the second story windows into the guest rooms. The stagecoach drivers roomed in the basement in very primitive conditions. Two bunk-style spaces were constructed from rubble stone. Straw was used for the bedding and a pot-bellied stove warmed the dirt-floor basement, where the stagecoach drivers slept. The drivers would stable their horse at a barn next door and enter the hotel through the outside basement door. Any couples traveling together on the stagecoach were invited to stay as guests in the comfortable homes in town. The Greek Revival style stone building underwent more additions in the 1880s. It has served as a hotel or boarding house during its entire history. Slated for the wrecking ball in the 1980s, this historic building was saved and lovingly restored by owners, Brook and Liz Brown. They preserved the original materials throughout the building, added bathrooms, air conditioning, and other modern conveniences. The Browns lived and raised their family in the inn for many years. 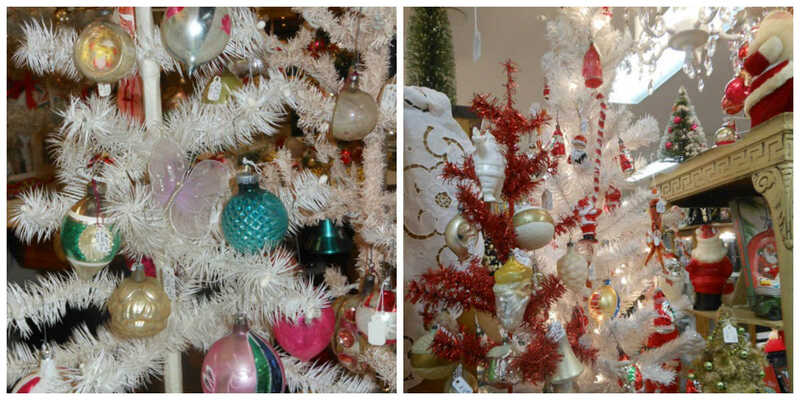 This year, they are celebrating 32 years as innkeepers at The Stagecoach Inn B &B. Our stay at The Stagecoach Inn was wonderful. Our quiet, second story room overlooked Washington Avenue, decked with tiny, white Christmas lights. A lovely bottle of wine and chocolates, a thoughtful birthday gift from the innkeepers, greeted us as we entered our guest room. Antique furniture, including a pine wardrobe for our clothes, added so much charm. We closed the wooden shutters above the wide windowsills to enjoy a warm, cozy stay at the inn. I was in my ‘happy place’ surrounded by antique charm in this historic, little inn. In the morning, we enjoyed a delicious breakfast in the first floor pub. Since we were the first guests to awaken, we had the pleasure of talking with innkeeper Brook Brown over breakfast. Oh, the fascinating stories he had to share!! He told us about their adventures in restoring the inn. A retired history teacher, he explained how the stagecoach passengers traveled through rural Wisconsin in the mid 1800s. We all shared stories of our travel adventures and favorite places in the world. Brook helped us with our plans for the day ahead, as we ventured off to explore some new destinations in Cedarburg. Then it happened… and it still sends a chill of excitement through me even now! in our very same room! Tears of joy flowed the moment Brook told us about Tasha’s visit! were Tasha’s inspiration for this wonderful new decade in my life! I can feel her inspiration, from the bottom of my heart!